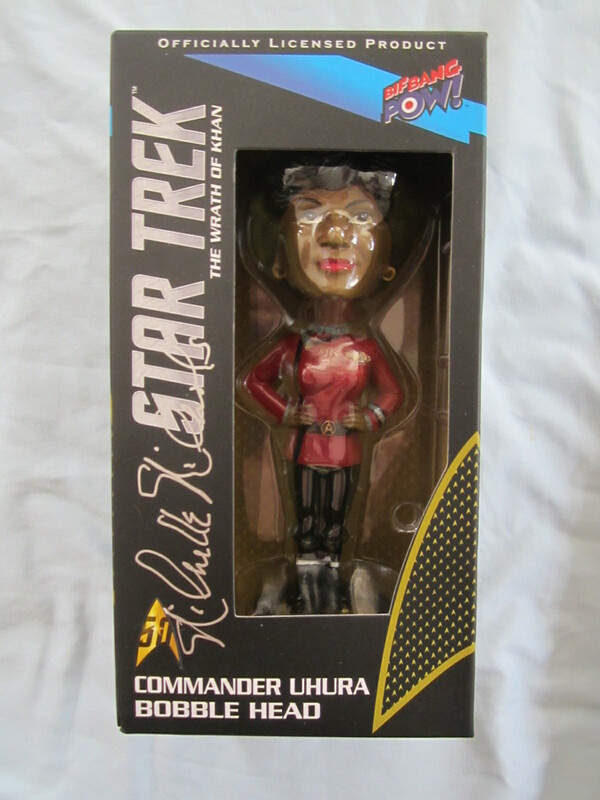 Commander Uhura Star Trek The Wrath of Khan bobblehead doll autographed on the box by actress Nichelle Nichols. 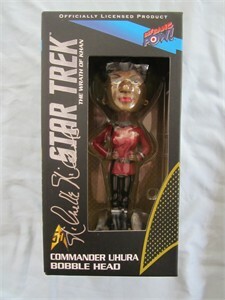 Obtained in person at limited 2016 Comic-Con signing, with certificate of authenticity from AutographsForSale.com. ONLY 2 AVAILABLE FOR SALE.